Abstract: Future frigates need to reduce fuel consumption, while maintaining and improving effectiveness. 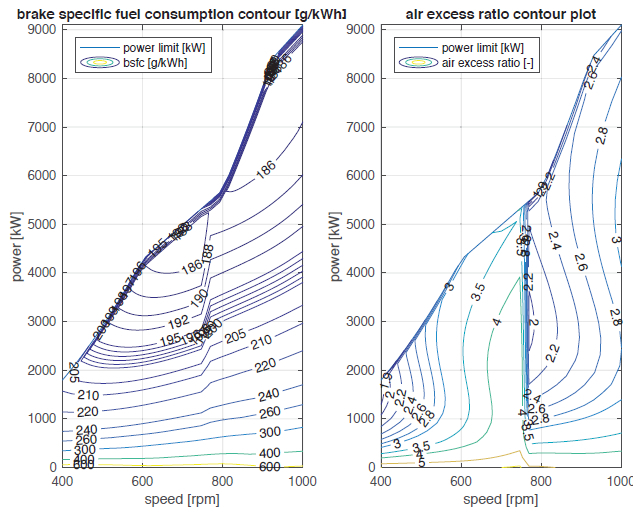 This paper, for the first time, quantitatively compares top speed, fuel consumption, emissions, acceleration performance and engine loading of hybrid diesel-electric and gas-turbine-electric propulsion, using validated models from previous work, and introducing sequential turbocharging and power take-off. It is demonstrated that hybrid diesel-electric propulsion can significantly reduce fuel consumption and CO2 emissions compared to gas-turbine electric propulsion, at the cost of reduced top speed. Moreover, it is shown that hybrid diesel electric propulsion can provide excellent acceleration performance. Reference: R.D. Geertsma, R.R. Negenborn, K. Visser, J.J. Hopman. A quantitative comparison of hybrid diesel-electric and gas-turbine- electric propulsion for future frigates. In Proceedings of the 2017 IEEE Electric Ship Technologies Symposium (ESTS 2017), Arlington, Virginia, pp. 451-458, August 2017.